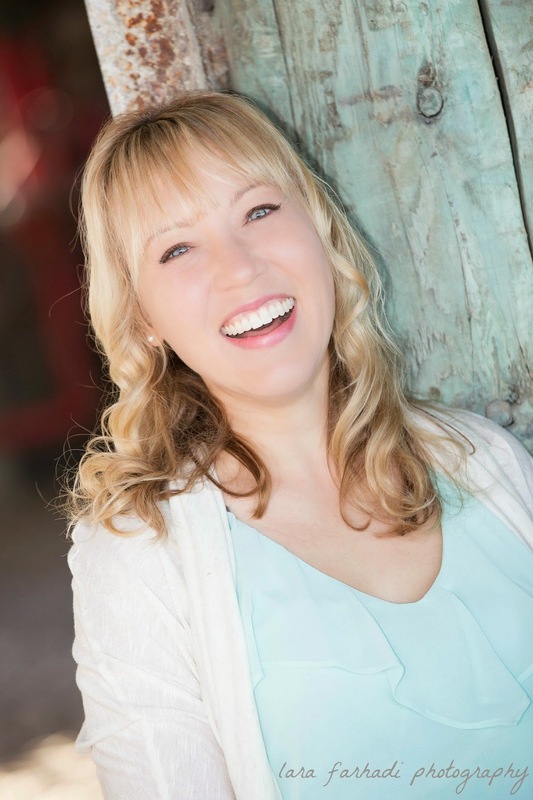 The Authorteers are pleased to welcome the lovely Deirdre Riordan Hall to the blog today. 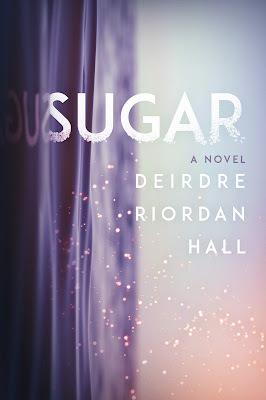 She's here to share 10 sweet things about herself and her new novel, Sugar (out next week!). Thanks for being here, Deirdre! 1.Here's my Pinterest board with loads of inspiration. A few spotted while writing the novel, others during editing, and some more recently. Compared to my other novels, I used Pinterest as an inspiration resource less, but it's still super helpful for me to have a few visuals during the entire process. I'm a word person, but pretty visual, too. 2. Here's a bonus scene from SUGAR first featured on the YA Scavenger Hunt back in April. Would you get chocolate or rainbow sprinkles? 3. A combination of real towns in New England inspired the sour streets in the town Sugar lived in New Hampshire, but it isn't based on one single place. I did this in part because I wanted it to be a backdrop, with the characters in the spotlight. 4. Although I've worked in restaurants and have no aspiration to own or operate one, I often think up names if I were to find myself in the culinary way. The Scoop & Sprinkle is my would-be ice cream stand. There's also Pizza Pie, featured in another manuscript (and yes, Pi day = free pizza) and because I love pizza, like a lot, there's also Peace, Love, and Pizza…and another, simply Pie, where you guessed it, only pizza and pie are on offer. 5. Like Sugar, I've eaten unforgivable amounts of cookie dough, especially the raw-egg kind, in the plastic sausage-like wrapping with the little metal belly button at the end. Salmonella anyone? Since then, I've found loads of egg-free cookie dough recipes. 6. I cried at various points in the novel each time I went through with revisions and edits. There might still be splatters on my keyboard…along with cat hair and possibly a few crumbs. 7. Sugar & Even have what I call an autumn friendship. 8. I've only been on a motorcycle once. 9. A few of Sugar's alternatives for the F-Bomb that didn't make it into the book = fark, friggle, and frunking. Do you have any? 10. SUGAR in one line: The most difficult journey can be the discovery of the uncharted terrain of one's innermost self. Soon Sugar will have to decide whether to become the girl she sees in the mirror or sink into the darkness of the skin-deep role her family and her life have created for her. 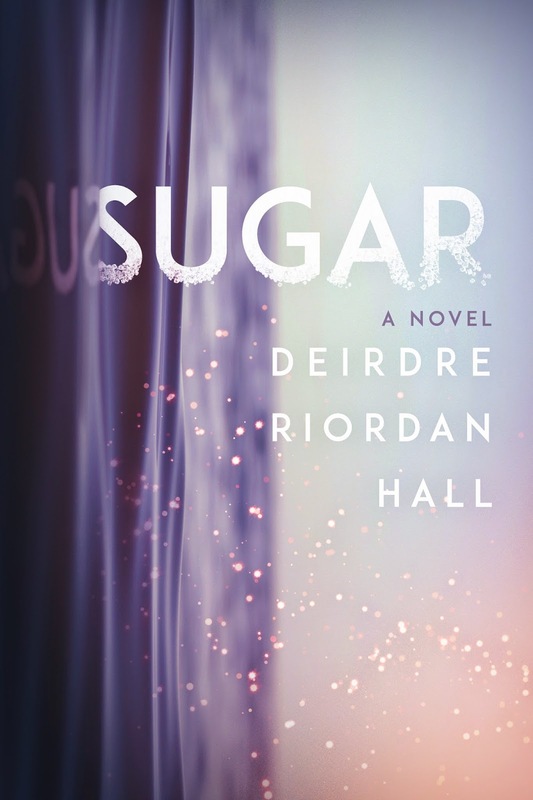 Deirdre Riordan Hall is the author of upper young adult and new adult fiction. She spends her days writing at the custom-made desk her husband crafted, with her family, or seaside, pretending she's a mermaid. 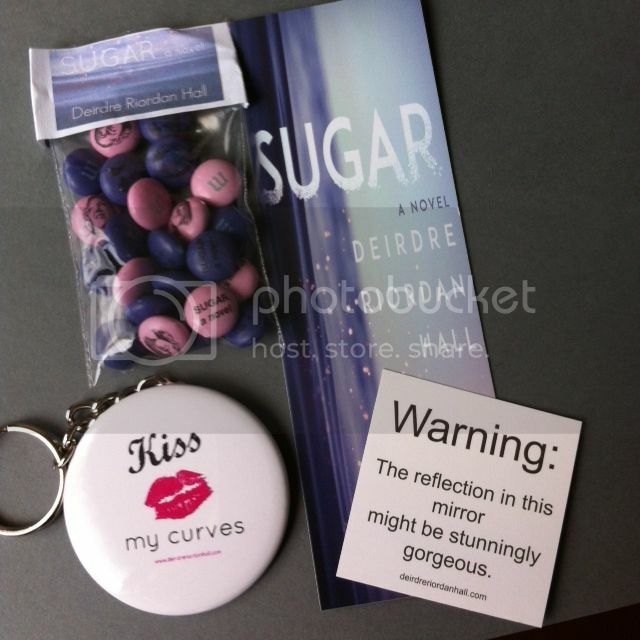 Deirdre is very generously giving away an ARC of Sugar, plus the swag pack pictured below (how cool are those M&Ms?). This giveaway is open internationally - thank you so much for your generosity, Deirdre! I like the sound of SUGAR. A most informative post thank you. I really liked this post! It was super interesting :) Sugar has been on my wishlist for quite a while, so I got really enthousiast when I saw this post and giveaway. Thank you so much for this giveaway!! Discussion: How Do You Choose Character Names?